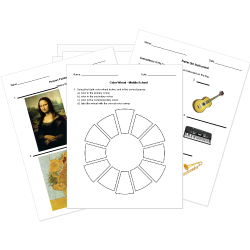 You can create printable tests and worksheets from these Grade 12 Applied Arts questions! Select one or more questions using the checkboxes above each question. Then click the add selected questions to a test button before moving to another page. Which is a description of what most Nok sculpture is like? The oldest known example of terracotta sculpture in Africa came from whom? When and where did the Nok culture begin? is a town in the Nigerian state of Stanbam in the southeastern part of the country. is a town in the Nigerian state of Anambra in the southeastern part of the country. is a city in the Nigerian state of Anambra in the southeastern part of the country. is a town in the Nigerian state of Anambra in the southwestern part of the country. The technique of creating a work of art by layering flat articles such as paper, fabrics, string or other materials to a flat surface. What ingredients did we use in our home made clay?